Service Costs > How Much Does AMC Stubs Cost? How Much Does AMC Stubs Cost? The AMC Stubs program, as part of the AMC Theater chains, is an exclusive membership award program available as two options to all customers. Offering a variety of benefits, such as free large popcorn refill and discounted movie tickets, one option is free while the Premier version will have an annual fee attached. 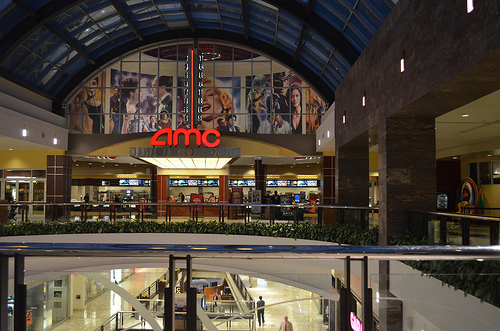 How much does an AMC Stubs membership cost? The costs of joining the AMC Stubs program will depend on which option you choose as the movie chain offers two levels. The Stubs Insider, the “free” version, offers perks such as free refills and $5 tickets every Tuesday, whereas the “Premier” version, will cost about $12 to $15 per year, but this price can fluctuate depending on the promotion currently going on at the time. If you’re lucky, you may be able to find an AMC Stubs promo code as well. The cheapest we did find was a deal in the past which offered the card for $10 a year. Below, we compare the two tiers, showing you which benefits you will receive with both. As for the renewal, like the initial sign up fee, it will greatly depend on the promotion currently being held, but be prepared to spend about the same annual fee. Free vs. Premier — what’s the difference in benefits? NOTE: Accurate at the time of this publishing and is subject to change. For more information in regards to the inclusions and the savings, refer to this official FAQ. To earn points, you can do so by presenting your app/card at the movie theater kiosk or using your number in the case of booking tickets online as well as at the local concession stand. For every dollar you spend and depending on the card you have, you can earn anywhere from 20 to 100 points per $1 spent, with the theater letting you turn your points into rewards in increments of 5,000. These rewards can be redeemed for free concessions or tickets, to name a few, but will change periodically. To see what you can claim, you can log into your account online to see your balance and which rewards are available at the time of redemption. As long as your account is active, your points will not expire; however, activated rewards do expire after 270 days. According to the U.S. News, in order to make it worth, you will have to go to the movies about seven times in a year and purchase your tickets online in order to avoid the service fee to break even. To get the second $10 reward, you will need to make up to 13 trips to the movie theatre in a year to make your money back and then some. Is it worth it? If you feel you go to the movies at least once a month and you purchase your tickets online, it could be; however, if you’re not much of a movie buff, then you may want to skip. If you’re interested in joining the program, you can do so by either joining via the official website, via the official mobile app or you can do so in person by talking with an AMC crew member. To join, all you need to provide is your name, birthday, favorite local theatre location and email address. The free version of the program is unlimited, meaning it will stay valid as long as you use it every 24 months; however, the Premiere membership is only valid for 12 dates from the date of enrollment and will expire on the last day of the month. When you do renew via the same methods mentioned prior, your membership will then be extended for another 12 months. In the case you decide you do not want to renew your membership, then it will automatically be converted to the free Insider account. When joining, you will not receive a physical card if you’re apart of the free program; instead, you will use your card via the movie theatre app. As for the Premiere members, you will receive a card kit in the mail, usually within four to six weeks.